HUNDREDS of new digitized data, documents & images for German Genealogy! Help! 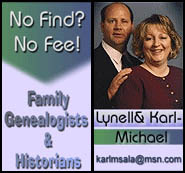 The most successful German Genealogy research case for us–ever! It is for a former director of Deutsche Bank USA. 2011: Massive German Genealogy Success in more places for more client ancestral family members than ever!